Street & Smith’s Sports Group, College & University Program gives students the opportunity to develop a broader understanding of the sports industry by reading both SportsBusiness Journal and SportsBusiness Daily. 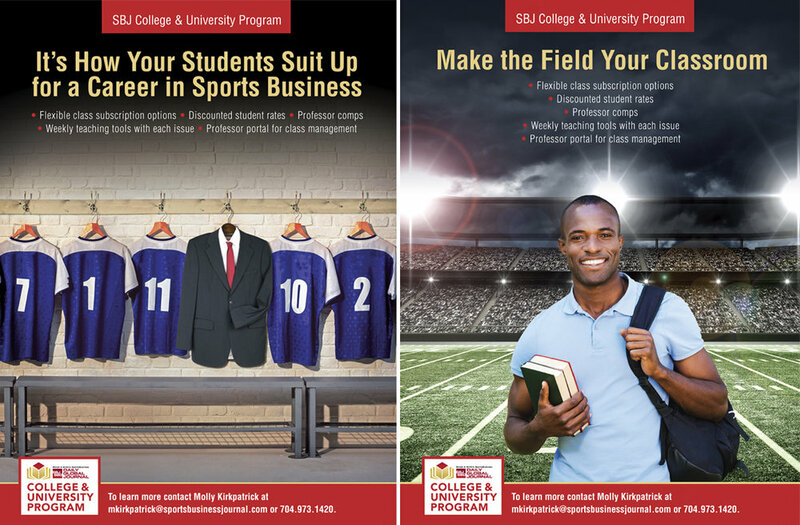 I was asked to concept and design a series of ads reflecting various scenes placing students in the classroom within a sports business context. 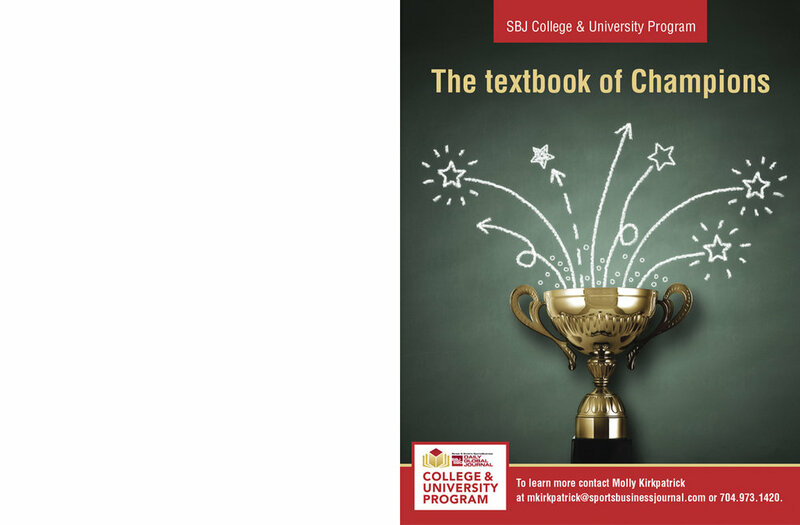 The idea is to show the student seeing themselves already in the sports business. Images were created with stock photography in Photoshop.